La Dolce Vita: A massive six-bedroom estate right next door to the Mayacama Golf Course, this posh property features a wine cellar, stone courtyards, lavish gardens, a pool and bocce court. 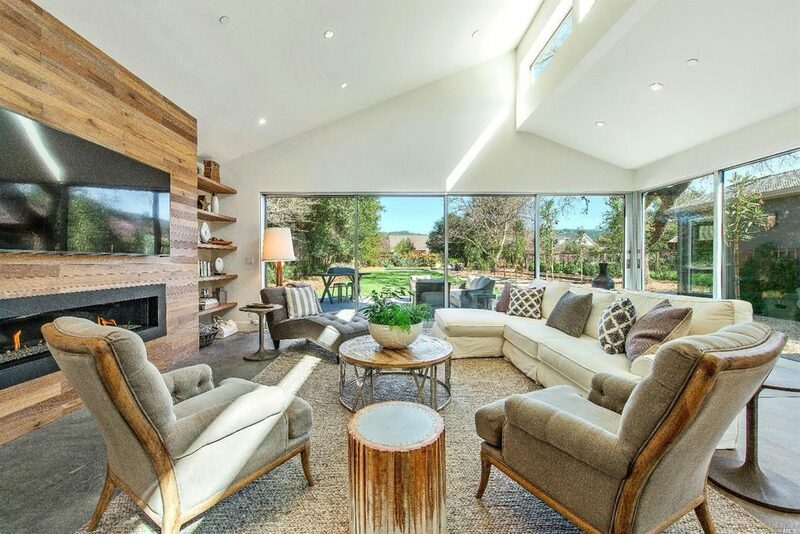 Wine Country Lifestyle: A mere pane of glass separates indoor from outdoor living spaces in this opulent contemporary Sonoma estate just a few short blocks from the plaza. 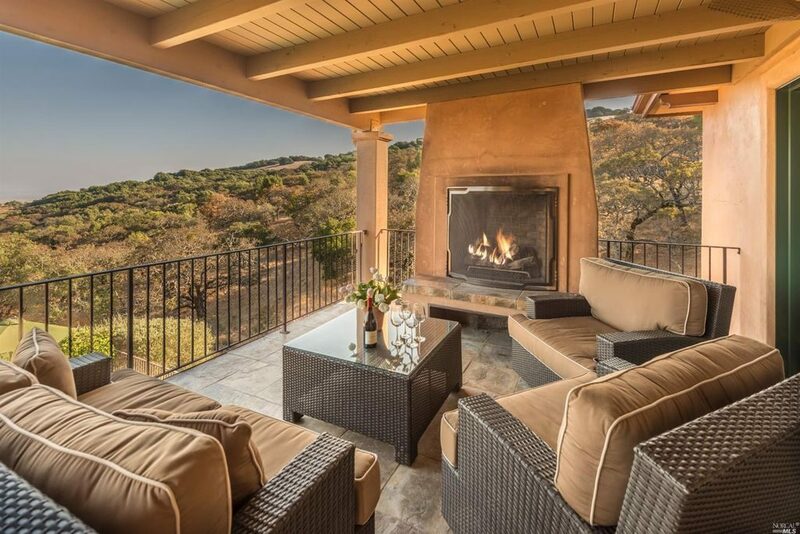 Fit for a king: Stay warm by the fire in this outdoor living estate with incredible views of vineyards, olive groves, Sonoma County and San Pablo Bay beyond. 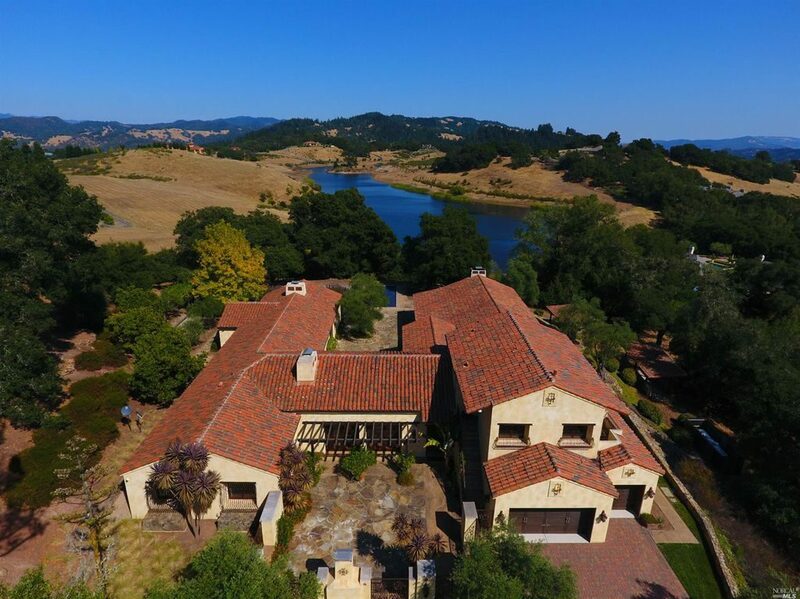 Oenophile dream home: Another great home near the Mayacama Golf Course, this Tuscan estate boasts a 2 bedroom 2 bathroom guest casita, infinity pool, and 1,000 bottle wine cellar! 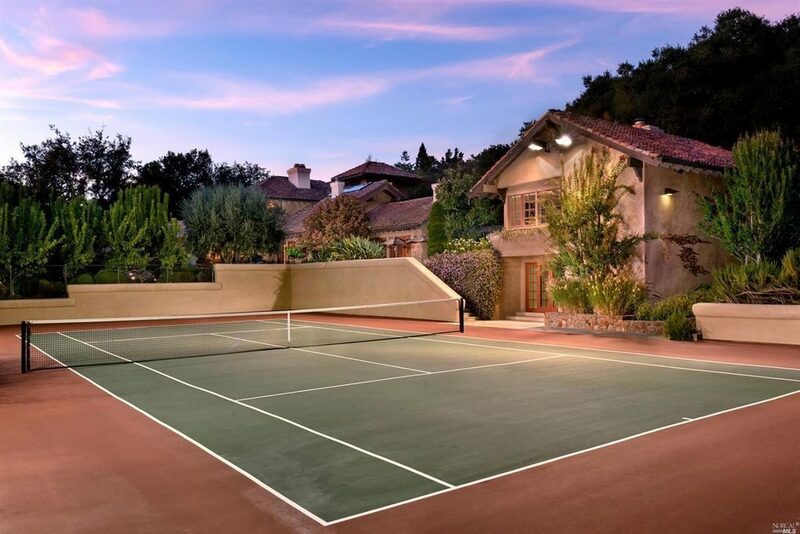 Treat yo’ self: A stunning 10 acre Mediterranean estate with tennis court, pool, 2 hot tubs, outdoor kitchen, bocce court, fire pit, 1 acre Old Vine Zinfandel vineyard and 4,000 bottle wine cellar. Bellisima! 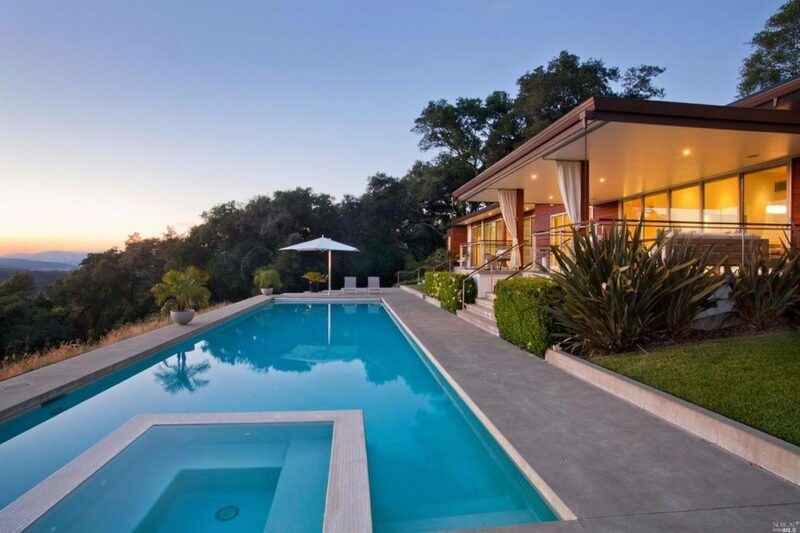 Marvelously Modern: Imagine the sunsets at this incredible contemporary estate with majestic oaks, madrones and redwoods surrounding. The beauty continues indoors with Carlisle white oak floors, a chef’s kitchen and Miele appliances. Classic beauty: A historic Healdsburg treasure, this 1910 estate was extensively remodeled and renovated. The expansive property includes a main residence, pool house, guest studio and posh English gardens. 3 beds, 3 baths, 3,101 square feet. Year built: 1987. Lot size 22.08 acres. Chalk Hill charmer: Smack dab in the middle of prime vineyard real estate this 22+ acre Mission-style home blends classic Old World craftsmanship with a modern open floor plan. 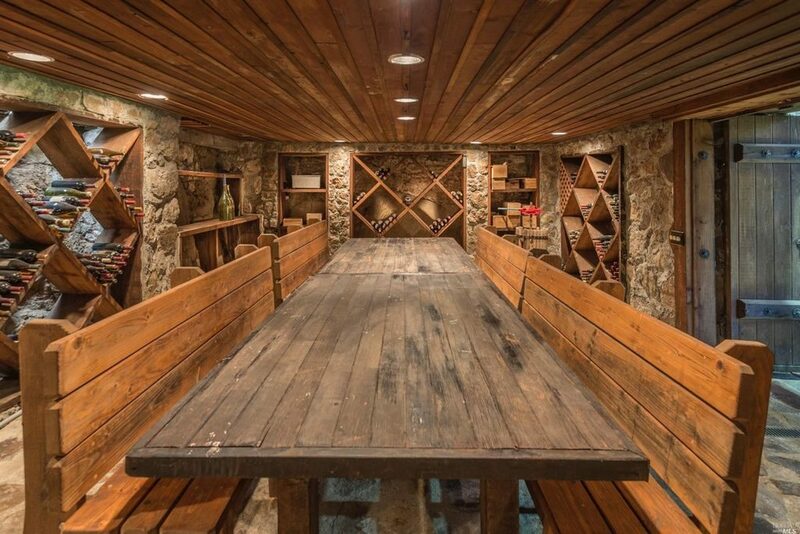 Other opulent amenities include an infinity edge pool, lavish pool house and barn. 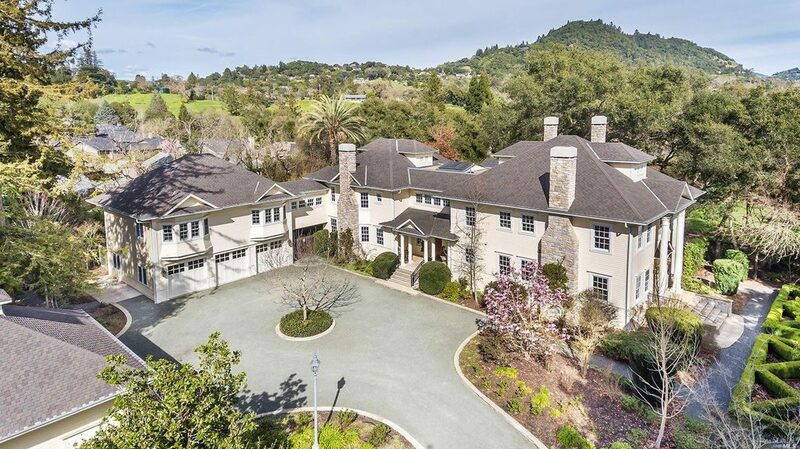 Posh palace: A playground fit for a king surrounds this opulent Sonoma Colonial with a huge covered veranda, pool, spa, tennis court, vegetable beds and an English garden. 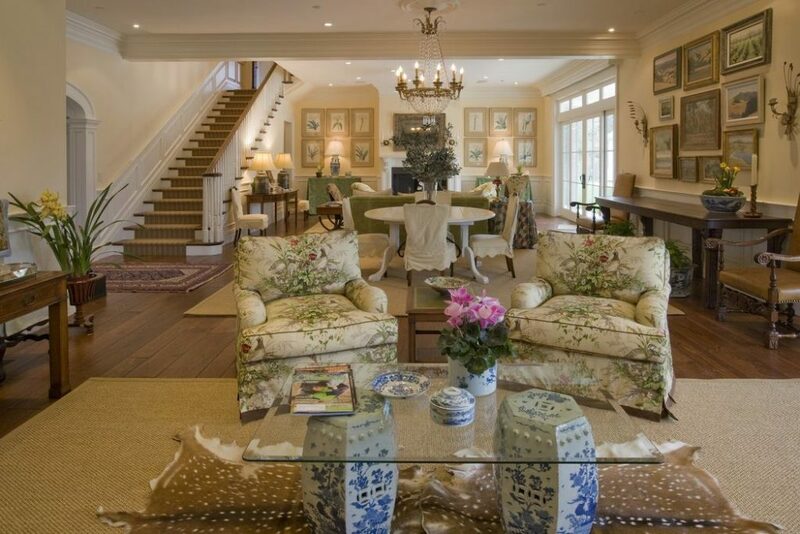 C’est magnifique: The interiors are so nice in this home I had to share at least one photo. A high-end construction from head to toe it features a hemlock paneled library, four fireplaces, double master bedrooms and a chef’s kitchen. Livin’ La Vid(a) Loca: Two of the extravagant homes in the La Vid compound sold this year in Kenwood. We wrote about them back in 2015, when the private 159-acre compound was first listed. Location, location, location: Resort-style amenities and panoramic views are just some of the features of this impressive Dry Creek Valley custom estate. 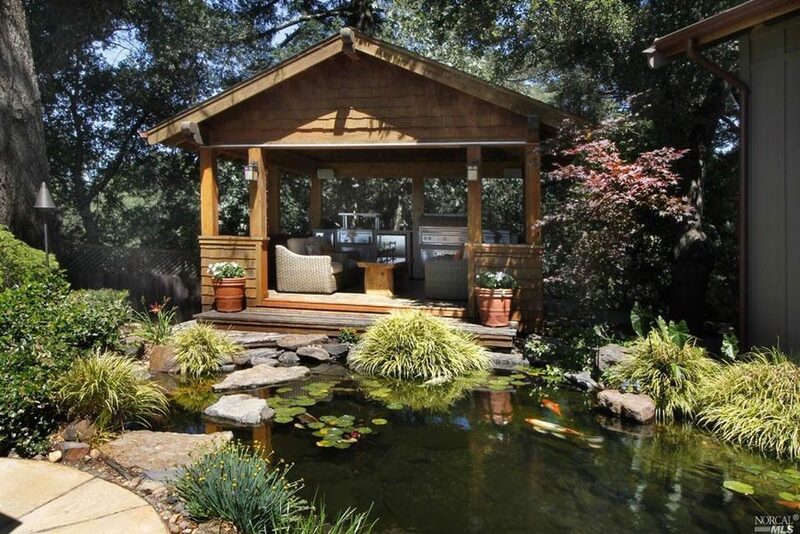 The new owners will be sure to keep busy with an art studio, pool, outdoor kitchen and 1 acre cab vineyard to enjoy. 2017 is far behind us by now, but there is still time for just one more glimpse back at some of the most lucrative property transactions of the year. The sales run the gamut from modest country homes with profitable vineyard acreage to lavish estates with pools, guest houses and all the finest features. 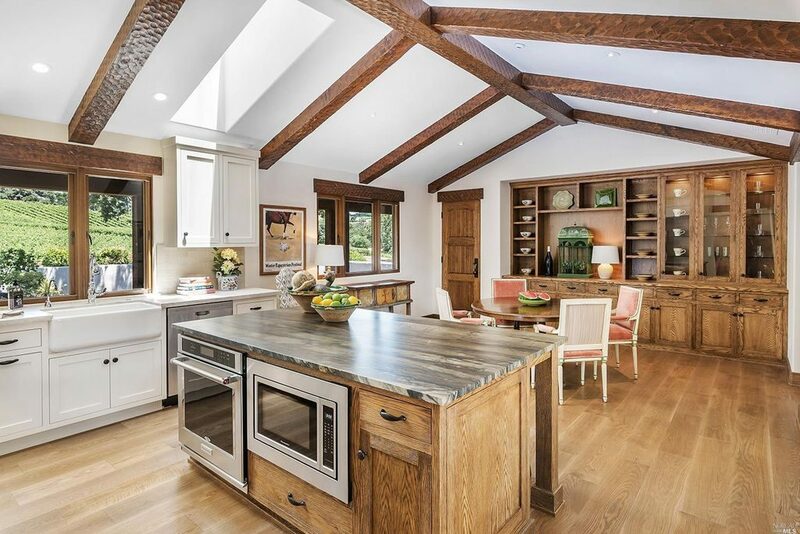 It is no surprise to find a handful of show-stopper estates on the list with outdoor kitchens, million-dollar views and indoor/outdoor living rooms, but the surprise rural properties demonstrate just how lucrative land is in Sonoma County. 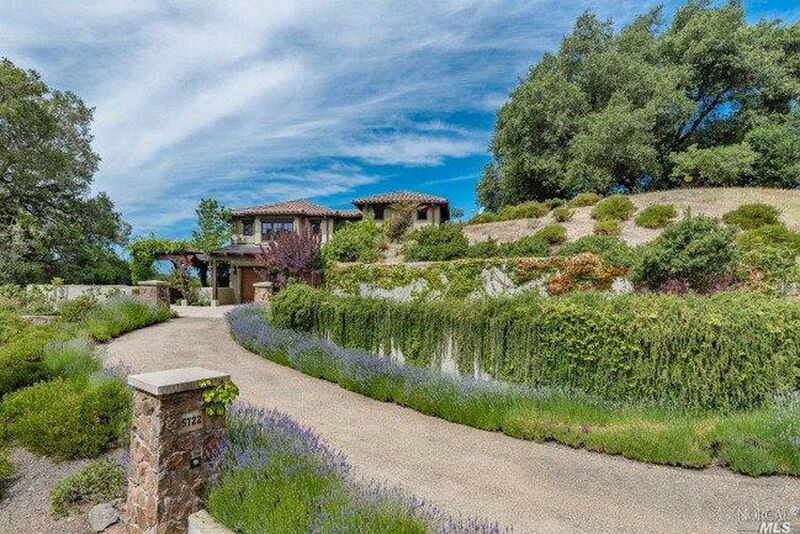 Click through our gallery above to see some of the most expensive homes sold in Sonoma County in 2017. Interested in researching other real estate transactions in 2017? Search our home sales database. Compiled from sales reported to the Sonoma County recorder and distributed to The Press Democrat by RealQuest, the nation’s largest online property information database.